If you do an online search of the phrase “women aren’t funny”, you’ll find a lot of people have Weighed In on the subject. You can find examples here, here and here. It always astonishes us when people say women aren’t funny. We think about all the witty women we know, our mother included, and we’re sad an entire demographic can be written off as Non-Humorous. So what are we to do, but look to Hollywood actress Doris Day? In the early 1960s, Day was In Demand. Her acting career began with Warner Bros. in the late 1940s, but her singing career started a decade earlier with Les Brown and His Band of Renown. She was still a popular singer until the late 1960s, and let’s not forget her Golden Globe awards, her Grammy Lifetime Achievement Award, and her Best Actress Oscar nomination for Pillow Talk (1959). Look at the 1964 comedy, Send Me No Flowers. Day stars as a fun-loving woman married to dedicated hypochondriac Rock Hudson. Hudson’s character takes his health Very Seriously. He has a daily regimen of pills/vitamins, and he lectures Day about the Evils Of Certain Foods, e.g. that vile substance: butter. During one of his frequent medical check-ups, Hudson overhears his doctor on the phone with a cardiologist, discussing a patient’s dire prognosis. The patient has only a few weeks to live, but the doctor resolves not to say anything so the poor slob can enjoy his Remaining Days. Hudson, being the professional pessimist he is, thinks he himself is the ill-fated patient. He starts putting his Affairs In Order and, in doing so, decides Day will require a new husband after he’s Gone. This scheme, ironically, becomes his raison d’être. Send Me No Flowers is Hudson’s film, and while he is amusing in this role, the script relies on Day’s reactions – and she doesn’t disappoint. It’s not until she runs into ex-boyfriend Clint Walker on the golf course that she starts to wonder about her husband. At first, Hudson is cool towards this fellow, until friend and confidant Tony Randall suggests Walker would make a good Next Husband. Suddenly Hudson starts selling Day on Walker’s attributes: his wealth, his agreeable nature, his golf swing. Day finds it strange – and somewhat annoying – that Hudson would be so enamoured with her ex, especially during a social evening when Hudson insists she dance only with Walker. When she discovers a woman giving Hudson a grateful – but innocent – kiss in the coat room, she arrives at the wrong conclusion: Hudson tried to fob her off on Walker so he could pursue another woman! Outside the club, Hudson finally shares his Terrible News with Day. “It’s the ol’ ticker,” he says, and tells her he has only a few weeks Left. Day’s face at this moment is exceptional. At first, she doesn’t believe Hudson, but she slowly makes her way through this disclosure. She wordlessly moves from anger to disgust to annoyance (Your health, AGAIN? ), to shock and, finally, despair. Doris Day was 42 years old when Send Me No Flowers was released; at the time she was ranked the No. 1 actress in Hollywood. This film would be the third and last in which she starred with Hudson and Randall. 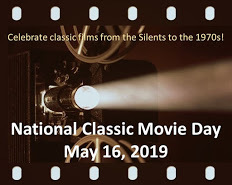 The film was based on a Broadway stage play by Norman Barasch and Carroll Moore, and it ran for 40 performances during the 1960-61 season. Critics gave the film mixed reviews. According to Wikipedia, Variety felt it didn’t Measure Up to the first two Day+Hudson films. Yet, the curmudgeonly New York Times reviewer, Bosley Crowther, called it “a beautiful farce situation”. There’s a fair amount of silliness here, but there are also plenty o’ laugh-out-loud moments. We urge you to see Send Me No Flowers, if you haven’t already, to enjoy the very funny Doris Day. 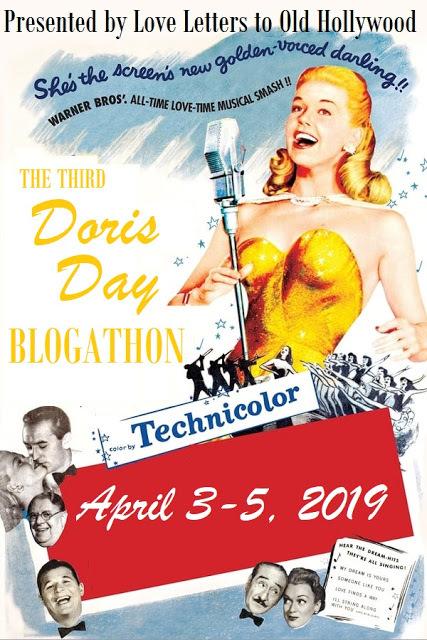 This post is part of THE THIRD DORIS DAY BLOGATHON hosted by Love Letters to Old Hollywood. 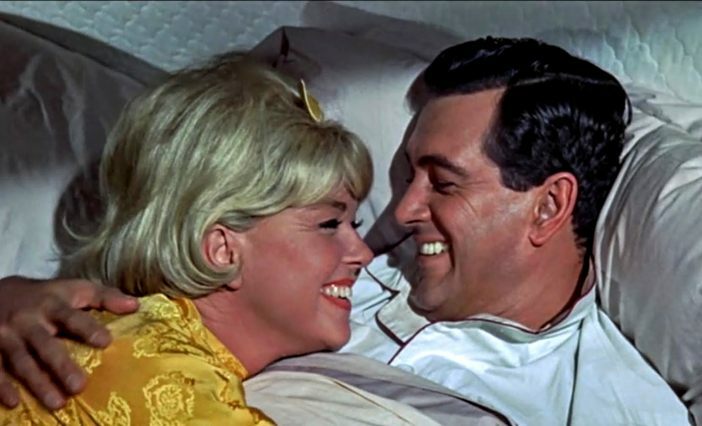 Send Me No Flowers: starring Rock Hudson, Doris Day, Tony Randall. Directed by Norman Jewison. Written by Julius Epstein. Universal Pictures, 1964, Technicolor, 100 mins. It always astonishes us when people say women aren’t funny. What sheltered lives such people must lead. In caves or Trappist monasteries, I suppose. The movie sounds like fun stuff. I’ll keep an eye out for it. Many thanks! This film is a lot of fun. I hope you enjoy it you do get the chance to see it. Women aren’t funny? Tell that to Carol Burnett, Phyllis Diller, Sarah Silverman, Kathy Griffin , Julia Louis-Dreyfuss, … too many to name. So ironic. And so … just wrong. Day was a fantastic actress. She took my breath away during many of her scenes in The Man Who Knew Too Much. I agree re: Doris Day in The Man Who Knew Too Much. She is amazing in that film. It’s one of my fave Doris Day roles. Isn’t she, though? She has the best eye roll in the business, wouldn’t you agree? Hello Ruth. 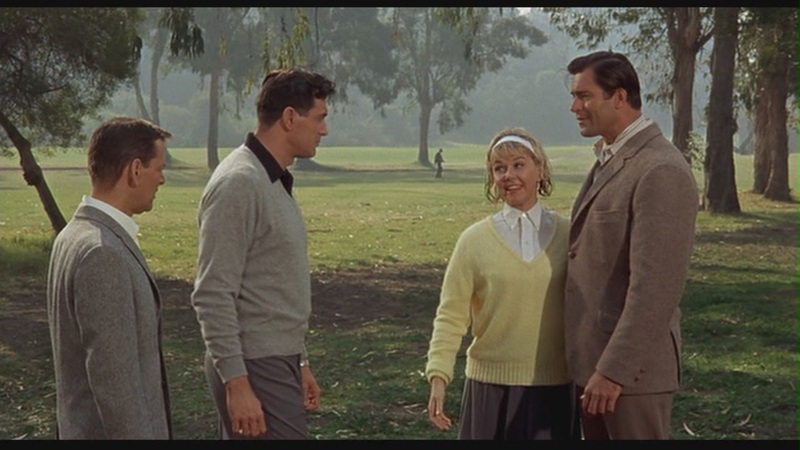 Off the top of my head, the only Doris Day movie I can recall seeing is Young At Heart. Sinatra is in it. It’s very enjoyable. I saw a reference to her in the news recently. She’s still with us! Thanks for mentioning Young At Heart. I haven’t seen that film, but if it has Doris Day AND Frank Sinatra, I’ve got to check it out ASAP. Awesome review! Doris Day’s one of my favourites!! And just for fun, here’s a link to a very funny lady: http://www.youtube.com/watch?v=wjcfdnqSvT0 Enjoy! She’s hilarious! And so talented, too. Thanks for this. Doris Day was such a class act! Great movie and post! Thanks – and I totally agree Doris Day is a class act. Truly, as you said, it is Rock’s movie, but impossible to enjoy his grand performance without recognizing that from Doris. What a team! PS: I spit in the general direction of those who don’t think women are funny. Geesh, what noobs! What ultra maroons! Haha! “Ultra maroons” is fab! Although this is a terrific film, and Rock H is so funny, it wouldn’t be half the film it is without Doris D.
Love this comedy farce and I’ve loved Miss Day since I was a kid. Both in her music her acting and for herself off camera. Where’s that life time achievement Oscar from the academy? Yeah, no kidding! Where IS that lifetime Achievement Oscar?? Thanks for the info. I was afraid she was being snubbed. Always adored Doris Day … my fave was Calamity Jane!!!! And I dare ya not to sing along!!!! Haha! It would be fun to host a big screen Calamity Jane sing-a-long movie, no? Wonderful post, Ruth! I truly love all of Doris and Rock’s (and Tony Randall’s!) collaborations. The hilarity of them can’t be denied, but there is also always an undercurrent of real love between Doris and Rock that makes me feel warm and fuzzy every time I watch them. I have a suspicion that that’s what made them such a good team. Yeah, co-stars can be funny together, but when they love each other too, it takes things to a whole other level. Thanks so much for contributing to my blogathon! “women aren’t funny,” I nearly fell out of my chair. Doris was a great comedienne but Send Me No Flowers is not my favorite of the Day/Hudson collaborations. Probably because in this movie those two are already married which takes away from the “will they or won’t they” suspense. We know of course they will but that’s fine. Also, hunky Rock as a hypochondriac didn’t sit quite well with me. I love Rock as a hypochondriac – it’s almost as though his character doesn’t realize how handsome he is. This isn’t my fave Day/Hudson movie, either – the other ones were already taken – but there are enough funny scenes. Plus, I love Doris’s outfits here. Indeed, nobody seethes and fumes better than Doris! Love this film and also love her other 2 films with Rock Hudson. Nice post! Come on! So many sitcoms rely on the actresses to be funny – and it wasn’t different with film! And, wow, Doris Day can be funny – I’m saying this su surely, even though I haven’t watched Send Me No Flowers. About Day and Gable in Teacher’s Pet: the age difference was not a problem to me. Gable’s character was meant to be from an earlier time, when you learned journalism by doing it – The First Page style – while Day’s character was from the newer mindset, that you needed to go to college to be a journalist. Someone from her age group would be weird in the role – and, oh, Gable is the one doing all the flirting, and he’s not inappropirate in any moment.